If you’re a home cook, from amateur to ambitious, who’s been looking for a Greek cookbook series that takes the mystery out of this once-complicated cuisine, slip on that apron and step into KUKLA’S KOUZINA: A Gourmet Journey~Greek Island Style. This collection of recipes was inspired by the southern Greek island of Karpathos and perfected by a woman with culinary vision, our mom, Mary, who was called “Kukla” (doll) by all who adored her (and her cooking). Our “kouzina” (kitchen) was where the magic unfolded, and now we share it with you in this cookbook series, starting with MEZE: Appetizers & Petite Plates and SPREADS & DIPS. KUKLA’S KOUZINA: A Gourmet Journey~Greek Island Style is the first cookbook series featuring an exclusive collection of never-before-published recipes from Karpathos—the second largest island of the Dodecanese chain, nestled between its more renowned neighbors Crete and Rhodes. From the unspoiled mountain village of Olympos, to the inland farming town of Volada, to the age-old fishing port of Finiki, the island is at the core of these recipes—passed down orally, some thousands of years old—that remain true to their heritage, with an originality that sets them apart from standard Greek cuisine, while teaching children the importance of culture and traditions through food. This is an edible trip worth tasting! Timeless and unique, these recipes instruct the average cook precisely how to make extraordinary dishes, bringing new excitement to Greek cuisine. We spent more than fifteen years translating recipes for this series, testing them until they worked perfectly, and editing them so they’re easy to understand and reproduce. Accompanying the recipes are preparation and cooking times, difficulty levels, and time-saving/do-ahead Kouzina Tips to help you plan your day. A chapter on Greek cooking techniques with step-by-step instructions, a glossary for equipment, ingredients, cooking methods, and food terms, as well as a sources guide, give you the tools you need to make your journey to our Greek island table a fun and attainable experience. ​Now step into our kouzina and learn firsthand about what makes our cuisine so different from that in the other corners of Greece, and what makes it so irresistible. Kali orexi! Καλή όρεξη! Good appetite! This is the first in a series that we have developed and we’re excited to see this dream become reality. Meze will complete its gourmet journey when it arrives in your home! Our varied selection of these party-starters is a hit at our gatherings, whether simple or elaborate, and now we share these recipes with you. This is the second release from Kukla’s Kouzina, joining Meze (Appetizers & Petite Plates), published last summer, also available on Amazon (see above). Kelly Salonica Staikopoulos is the author and editor of the cookbook series Kukla’s Kouzina: A Gourmet Journey~Greek Island Style, as well as a recipe developer and tester, and the website mistress and blogger for kuklaskouzina.com. Kelly is also a cohost on Kukla’s Kouzina’s YouTube cooking channel. Kelly has been a contributing food editor and writer for more than fifteen years, working with a number of national publications, including Ladies’ Home Journal, Working Mother, and Reader’s Digest. She has developed recipes and written food articles for Woman’s World, Ladies’ Home Journal, richmondnavigator.com, Chesterfield Living, and West End’s Best, and has been featured as a radio personality reporting on food trends for WHAN’s The Flav–Feeding Trendzy in Richmond, Virginia. Kelly is also a travel and entertainment writer whose articles have appeared in American Way, Country Weekly, Ladies’ Home Journal, backstage.com, countrystandardtime.com, and Chef’s Edge (Chefs de Cuisine Association of America). Kelly’s artistic talents are clearly inherited from her mother, Mary (Kukla), and proudly displayed in her paintings, sketches, and of course food styling, which she provided for this cookbook’s photography. Kelly is also an actress and worked on Netflix’s Crime, CBS’s Person of Interest, the CW’s The Carrie Diaries, NBC’s Law & Order, and The Amazing Spider-Man 2.  Joanne Staikopoulos Marzella is a recipe developer and tester for Kukla’s Kouzina: A Gourmet Journey~Greek Island Style, as well as the business manager for this project. Joanne is also a cohost on Kukla’s Kouzina’s YouTube cooking channel. Joanne is married with a daughter and two stepsons. She spent the bulk of her professional life as an Executive Vice President and Chief Financial Officer in the advertising/media field, where her client base included Toys“R”Us, Tyco, Mattel, Milton Bradley, and Pressman. Eighteen years ago, when she and her husband Vincent had their daughter, she embarked on a new career as mother and role model for little Jacqueline Maria. Joanne’s focus is now on enriching her child’s life with the roots of her Greek heritage, of which her grandma Mary’s culinary treasures and memories are certainly an important part. Joanne’s stepsons, Matthew and Daniel, adored Kukla and have always embraced her way with food. While both enjoy eating, Daniel takes it one step further by rolling up his sleeves and whipping up a few Greek dishes of his own. Suffice it to say, when Kukla’s dishes are on the dinner menu, there isn’t an empty seat at the table! Jacqueline Maria Marzella is a graduate of the Young Chefs Academy in New York, making her a valuable asset to our test kitchen. She just graduated high school with honors and is a competitive swimmer. Formerly on a high-ranking team in New York, she held the position of captain of her high-school swim team. She also enjoys singing, dancing (especially Greek dancing where she competes), and acting—she participated in all her school plays and codirected the middle-school productions. Jackie is now a college freshman. Jackie cooks alongside Kelly and Joanne, and also joins them as a cohost on Kukla’s Kouzina’s YouTube cooking channel. There are many Greek foods Jackie loves to make, but two stand out on her list of favorites: bread (our yiayia Kalliope’s Christopsomo recipe) and Christmas cookies (our Kukla’s melomakarona/finikia, kourambiedes, and koulourakia).